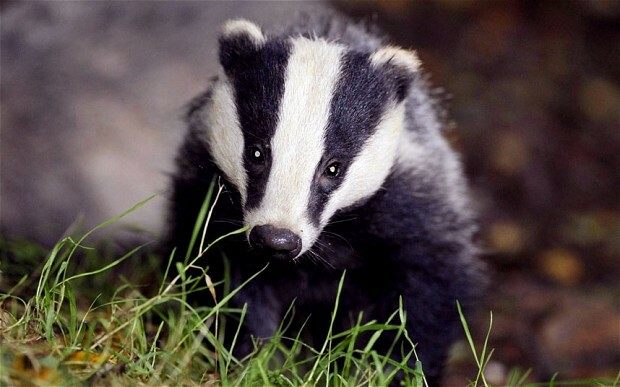 Badger Cull a Shambles – well there’s a surprise! 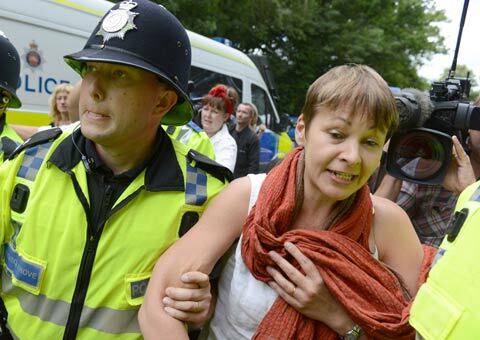 The UK’s only Green Party MP, Caroline Lucas, was among dozens of anti-fracking protesters arrested today as a “day of action” saw thousands of people take part in demonstrations at sites across the country. Hundreds of activists blockaded the Balcombe oil drilling site in Sussex owned by Cuadrilla, as well as its Lichfield headquarters and the offices of its PR firm. Demonstrators hung banners at the country home of the Conservative Lord Howells, who stirred controversy by suggesting the “desolate” north should be fracked and attempted to put up a small wind turbine at the home of Tory MP Francis Maude, whose constituency includes Balcombe. 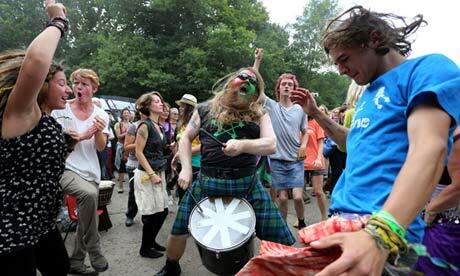 Protesters at Balcombe blocked part of the site road but were driven back by police. Lucas, who is the The MP for Brighton Pavilion, said she joined the protest to make up for the “democratic deficit” that was allowing corporate oil and gas interests to trump the concerns of ordinary people. 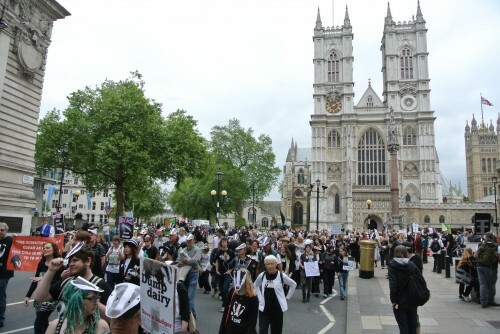 “Along with everyone else who took action today, I’m trying to stop a process which could cause enormous damage for decades to come,” she said today. Thousands of people marched through the Sussex countryside today in the biggest show of strength to date for the UK’s anti-fracking movement, the start of a three-day campaign against exploratory drilling near the village of Balcombe in west Sussex. More than 2,000 supporters from around the country arrived in coaches and by train and filled “matchmaking” forms to on arrival, listing their preferences and skills in activities such as climbing, standing their ground, getting through or over fences, looking after people, providing entertainment or documenting the action. Cuadrilla has in the past few days, after discussions with local police, halted drilling activities at the site and removed some equipment. The company has also urged protestors not to attempt anything that could compromise their own safety. The firm has partially drilled an exploratory oil well on the site and tests on the data obtained from drilling will help to determine whether the company presses on with its plans. Protestor Liz Lyddon, from Brighton, said: “I am very concerned about climate change for our future generations. Fracking is not the direction we should be taking – there should be a huge investment in renewable green energy but there is no sign that any of our politicians are even thinking seriously about that. Great news! After months of campaigning by environmentalists, the European Commission has taken action to protect bees by restricting the use of harmful chemicals in pesticides. 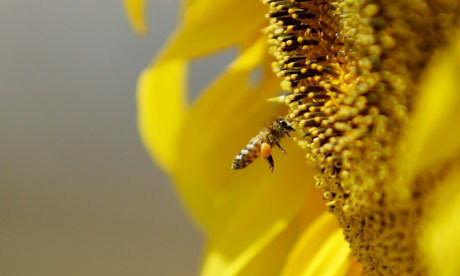 Fifteen countries voted in favour of a ban and, even though the vote was split, the Commission imposed a two-year restriction on three neonicotinoids, which research has shown to harm bees – and the UK cannot opt out. The ban means neonicotinoids will not be used on crops that are attractive to bees and other pollinators, there will be a ban on the sale of neonicotinoids to amateur growers. A report by the European Food Safety Agency (EFSA) in January concluded the pesticides posed “a high risk” to pollinators, including honeybees. There was intensive lobbying in the run-up to Monday’s vote. Protesters against neonicotinoids rallied in Westminster on Friday and campaign organiser Andrew Pendleton of Friends of the Earth said “leading retailers have already taken action by removing these pesticides from their shelves and supply chains – the UK government must act too”. The Environment Secretary, Owen Paterson, must end Defra’s “extraordinary complacency” and suspend the use of pesticides linked to serious harm in bees, according to a damning report from a leading group of cross-party MPs. The Environmental Audit Committee (EAC) has told the UK Government they were wrong when they chose not to support a two year ban on the three neonicotinoid pesticides most dangerous to bees and should change its position. 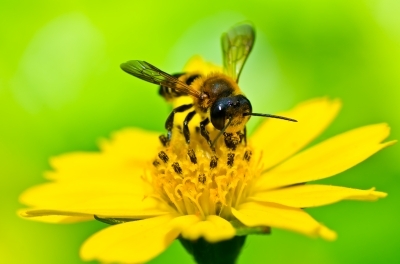 Members of the EAC concluded that by the start of 2014 the UK Government must enforce a moratorium on the use of three neonicotinoids, imidacloprid, thiamethoxam and clothianidin, as well as support a similar proposal at a European level. The Committee also called for data on the environmental safety of pesticides to be made public and highlighted the urgent need for a wild pollinator monitoring programme, which would show where pollinators need our help the most. Friends of the Earth has written to the Government asking it to ban the worst bee-harming pesticides, and is now asking you to add your name to the letter, which tells Ministers to ban the most bee-harming pesticides and accept the EAC’s recommendations.